Weichai Power Yangzhou Diesel Engine Co., Ltd. located in the Yangte River Delta which is the most economic vitality region, on December 2009, we recombined with Weichai Power, and will be the small-sized diesel engine manufacturing center in Yangte River Delta of Weichai holding group. In the middle of 1970s, the first domestic diesel engine of light truck was produced here, since then, Yangchai has played a leading role of domestic light diesel engine industry, the products of Yangchai have acquired quality golden and silver medal many times, and it is the key enterprise producing four cylinder diesel engine for vehicle in domestic, the notational top 10 excellent engine supplier, high-tech enterprise of Jiangsu province and has the provincial technical center. We have won “One of the top 100 supplies of auto parts nation-wide” eight times, named as “One of the top 100 of machinery industry enterprise”, “The enterprise mad a outstanding contribution to internal combustion engine industry of China”, and won “One hundred-year achievement award” of China’s internal combustion engine industry and won “2012 low-carbon diesel engine (light-duty) pioneer enterprise”. For years, we have been named as excellent supplier by our major customers such as FOTON, NAVECO, JAC KAMA and so on. 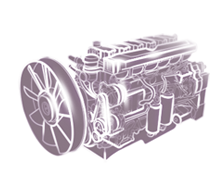 The company has forty years’ experience of researching and manufacturing diesel engine. It has many talents of product design and process study and adopts lean production and ISO/TS16949 quality management system. It imported advanced equipment and technology from the United States, Japan, and Germany and established cooperative relation ship with Austria AVL, Germany ELSTETT and BOSCH for a long time. At present, the company has 485、490、4102、4105 and 4108 five series more than 200 types of diesel engine with displacement 2.0L-4.0L. And products meeting emission State-V standard are launched to the market. All these products are the optimizing power for light truck, light bus, construction machinery, generating set, marine and the lead products 4102/4105 series share more than 30% of the diesel engine market. Our major customers are FOTON, NAVECO, JAC, KAMA, T-KING, WAW and so on more than twenty. The accumulative output amounts more than 1.9 million. According to the development strategy plan, Yangchai is advancing the new plant construction project at present. According to modern, lean of diesel engine manufacturing requirements for new construction layout and will be built into provincial engineering research center and technical center at the same time. The project is expected to invest 2.3 billion Yuan, covers an area of about 450000 square meters. Through the introduction of advanced engine design and development technology and international famous products, speeds up the new product development, optimize the structure of products, to expand the market space. Introducing advanced manufacturing technology and equipment, the effective integration of the existing resources, improve manufacturing technology platform to meet engine manufacturing requirements. Attain annual production capacity of 500000 diesel engines and advanced level of domestic diesel engine manufacturing technology. Looking to the future, during “Twelve Five”, Weichai Power Yangzhou Diesel Engine will raise the company management and competition ability comprehensive through the adjustment of product structure, introduction of Italian VM product, strengthen the market development, increase product development and technical transformation into, further improve product quality and productivity. Till the end of “Twelve Five”, make Yangchai to be one of the best four cylinder diesel engine enterprises national-wide.